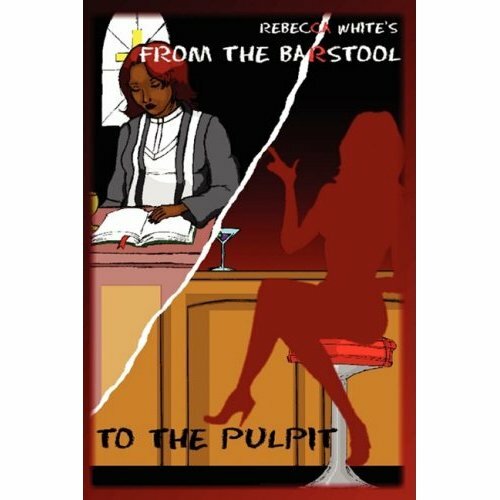 Earth shattering, eye-opening and compelling, From The Barstool To The Pulpit chronicles a young girl*s life filled with hope and promise embarking on a dark journey of turbulent twists and turns*even bumpy landings! Rebecca authentically reveals life secrets and shares valuable wells of wisdom gained from her life experiences. God desires the best for all of our lives. Jesus Christ came not only to set us free, but also to make total provision for fulfilling our divine destinies. Satan wars against our destiny plotting to interrupt through every opportunity afforded to him. The "Good News" is you will find total freedom in the knowledge that there is no sin Jesus has not already paid the penalty for. Allow Him to enter into your life and remove every stained sin and weighted burden you may be carrying today. Most likely, you have been a regular patron on life's barstool*an enticing and familiar place where the enemy serves up "Sin On The Rocks" to intoxicate and self-medicate you from manifesting the abundant life. But whatever or whoever is holding you captive on a seat of perpetual defeat, RISE UP to a higher place and shine in the newness of Christ! Divine Cheers!